The Lady Nelson may be the perfect platform for your next social function or ceremony. We are pretty flexible about where we go and what we do. If this area is adjacent to Hobart normal charter fees apply. 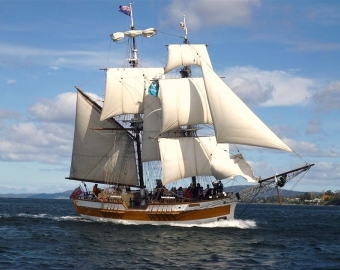 If the Lady Nelson needs to travel cost will be by negotiation and the charter will be Hobart to Hobart for the vessel. In most locations around SE Tasmania we can take up to 36 people. You can cater or we can arrange catering. Talk to our office for further information. Over the years Lady Nelson has had all manner of celebrations held on board and these event can be catered or you can arrange or bring your own catering. And yes we have had a honeymoon onboard. Charter the Lady Nelson for your group of young ones, this could be a group from school, cubs & guides or even that birthday party. Works best with age group 6 to 10 years old. Get dressed up in your pirate finery and sail the Derwent looking for adventure. Charter the Lady Nelson (we can supply a historian*) and visit some of the more historic features of the Derwent. * Extra cost involved. Charter the Lady Nelson for a longer charter from 2 days to a week. 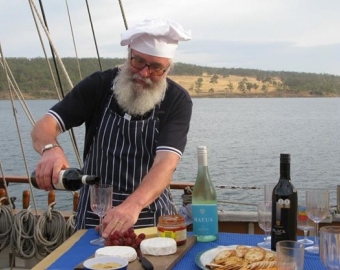 On these longer charters we can take 10 passengers and visit the places youwant to go*, This could be up the east coast, Port Arthur or sailing the scenic D'entrecasteaux Channel or historic Norfolk Bay. 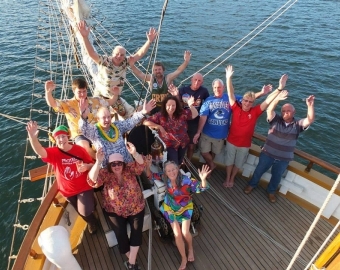 Maybe your group is large and you need to charter two Tall Ships for a Day on the Derwent. Lady Nelson and Windeward Bound may be available for your charter. Contact the Lady Nelson for further details. 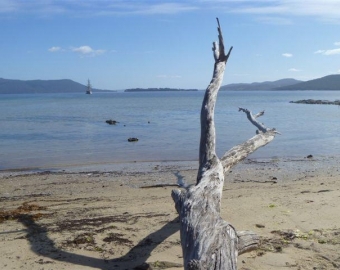 Charter the Lady Nelson and head to the bay or part of the coastline that was special to your loved one. If this area is adjacent to Hobart normal charter fees apply. If the Lady Nelson needs to travel cost will be by negotiation and be Hobart to Hobart for the vessel.